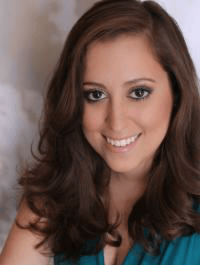 Soprano Elena Galván returns to Florida Grand Opera this season for her second year with the company’s Young Artist Program. Last season on the FGO stage, she was seen as Yvette in The Passenger and Norina in Don Pasquale. Most recently, she participated as an apprentice artist with Des Moines Metro Opera, covering the role of Amour in Orphée et Eurydice. Additional roles include Susanna in Le nozze di Figaro with Kentucky Opera, Mabel in Sullivan’s The Pirates of Penzance with Lamplighters Music Theatre, Countess Ceprano in Verdi’s Rigoletto and Frasquita in Bizet’s Carmen with Livermore Valley Opera, Musetta in La bohème and Rosina in Il barbiere di Siviglia with the San Francisco Opera Guild’s “Opera à la Carte” series, and Norina in Don Pasquale with Opera Santa Barbara. Elena has sung in the young artist programs of Kentucky Opera, Virginia Opera, Opera Santa Barbara, and Opera Saratoga. She earned her bachelor’s degree from Ithaca College and her Master of Music Degree in Vocal Performance from the San Francisco Conservatory of Music. This season at FGO, she sings Frasquita in Carmen and Oscar in A Masked Ball.